RK Rose+Krieger has been a customer of the German software manufacturer CADENAS since 2001. 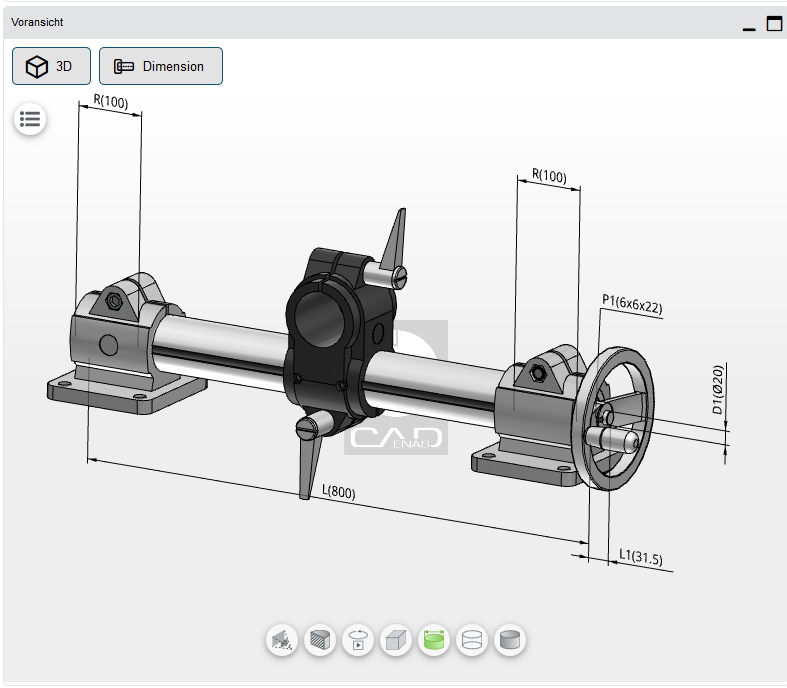 Since February of this year, engineers not only have access to the extended Electronic Product Catalog of RK Rose+Krieger but also to the new interactive product configurator of Move-Tec “E” assembly for linear units with spindle drive, lifting columns and electric cylinder. "RK Rose+Krieger has been cooperating so closely and successfully with CADENAS for many years now and working continuously on optimizing the RK Rose+Krieger PARTcommunity portal," confirms Bernd Klöpper, Head of Marketing at RK Rose+Krieger GmbH. "Together with the CADENAS team of experts, the RK Rose+Krieger PARTcommunity portal was extended with a new product configurator for our linear units to improve customer service. This enables engineers to easily assemble the desired linear unit as needed, with plausibility checks in the background," explains Bernd Klöpper. Here, the variables of the configuration can be entered according to need, which are divided into individual tabs for a better overview. At https://rose-krieger.partcommunity.com you can find the spindle linear units "E"- configurator. 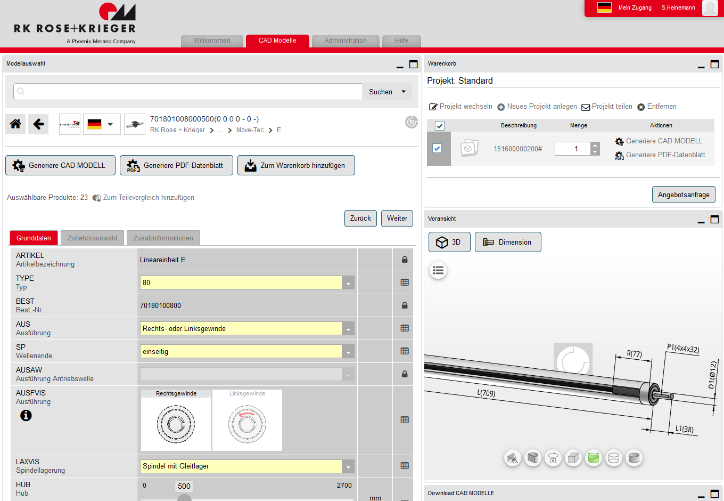 Here you can get directly to the configurator at the RK Rose+Krieger PARTcommunity portal. CADENAS awards RK Rose+Krieger product catalog with "Golden Catalog Seal"
The fact that RK Rose+Krieger places high value on quality and good customer service is demonstrated with the company's constant optimization of its digital product catalog of the eCATALOGsolutions technology. The Electronic Product Catalog was awarded with the "Golden Catalog Seal" at the Industry Forum 2018. This seal of quality goes to product catalogs which provide extensive, intelligent information to engineers and purchasers, thus offering the best customer service. In addition to the CAD models and standard information, the RK Rose+Krieger product catalog contains the eCl@ss classification standard, weight information, customs tariff numbers as well as information about recycling and environment, etc. "This seal of quality confirms our activities and encourages us to further expand our portal as well as our Electronic Product Catalog and to implement new features to make it more user-friendly," says Bernd Klöpper. Or contact us at Marketing@cadenas.de or at the number +49 821 258 580-0.